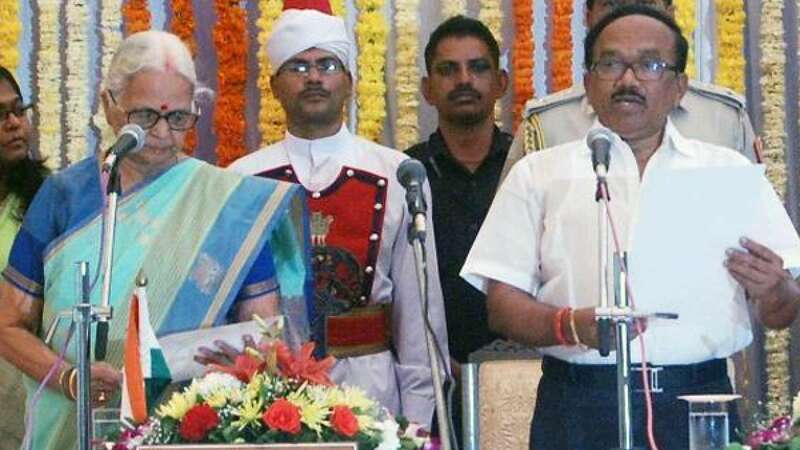 Goa : After BJP legislature Party unanimously elected Laxmikant Parsekar as the new Chief Minister of Goa, he took oath on Saturday. - Manohar Parrikar, who is slated for a post in Cabinet, resigned in the morning. - Parrikar proposed Parsekar’s name for the vacant post, while Dy CM Francis D’Souza sounded disappointed as he wanted to get elevated on the seniority grounds. - After Party workers talked to Dy CM, Laxmikant later got support from him too. - "Parsekar was elected the leader of the BJP Legislature Party unanimously," said party general secretary Rajiv Pratap Rudy. - Parrikar faxed his resignation to Governor Mridula Sinha at Raj Bhavan. - He was Chief Minister for the state since 2002.